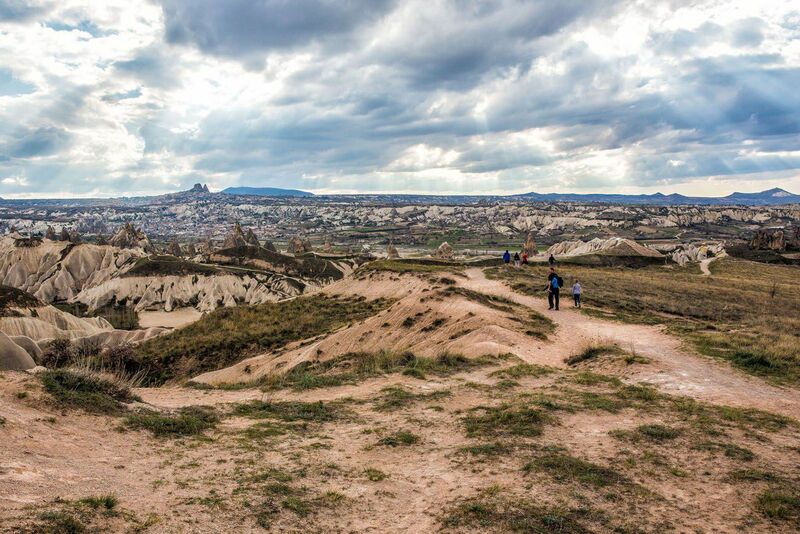 Cappadocia is the perfect place to go hiking and exploring. The scenery is very unique, the trails are just challenging enough to keep it fun for kids, and while we were here in March, there were very few people on the trails. 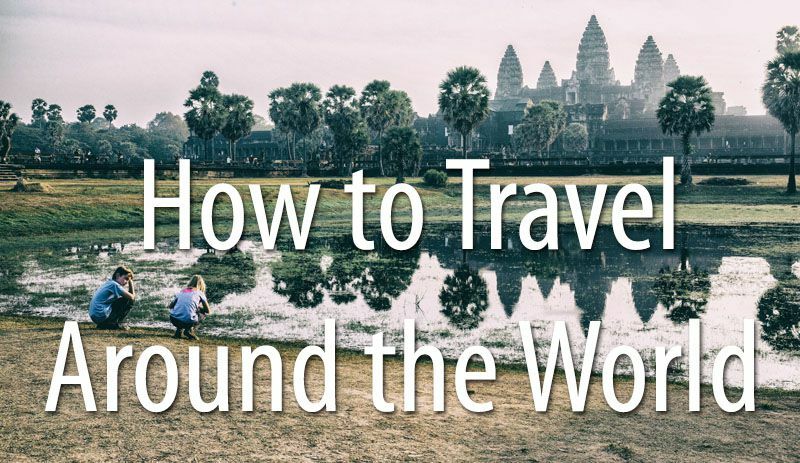 Tyler and Kara could run off all of their extra energy, explore ancient caves, and just have a fabulous time. 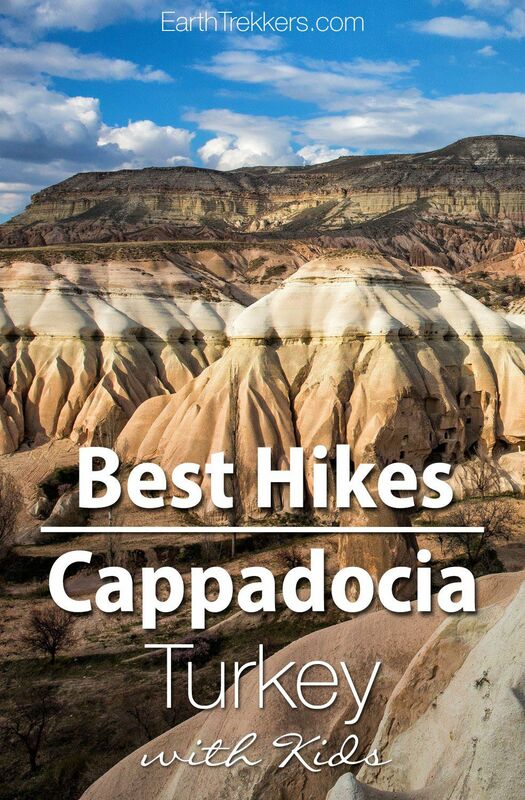 They fell in love with Cappadocia, and these hikes were their favorite thing we did during our entire 11 day tour of Turkey. 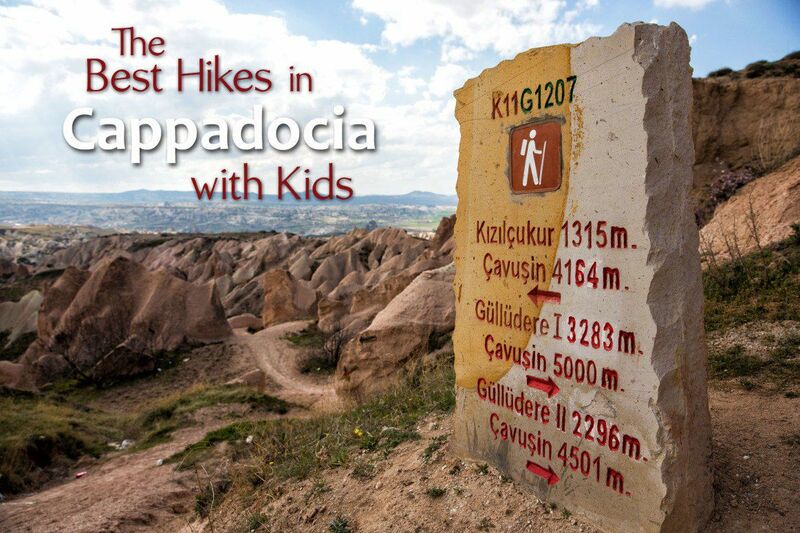 Here we have listed some of the best hikes in Cappadocia with kids. Our first hike was the very short 1.5 mile hike through Love Valley. This hike took us through one of the local valleys with the reward of seeing large cone shaped spires at the end of the hike. We descended into the ravine, down slippery slopes to the river valley. 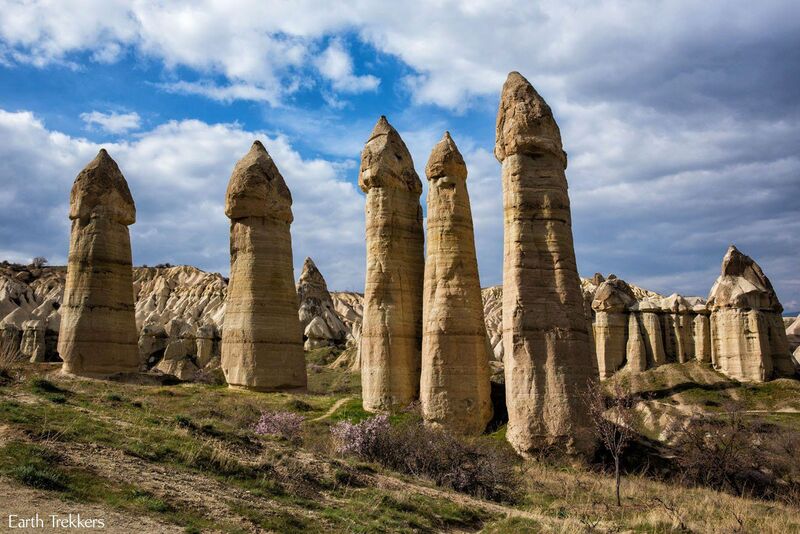 For an hour and a half we followed dirt and stone trails through the valley.At the end of the hike we could see why it was called “Love Valley.” Giant, phallic spires rose out of the ground in front of us. This made for some interesting conversations with our kids. 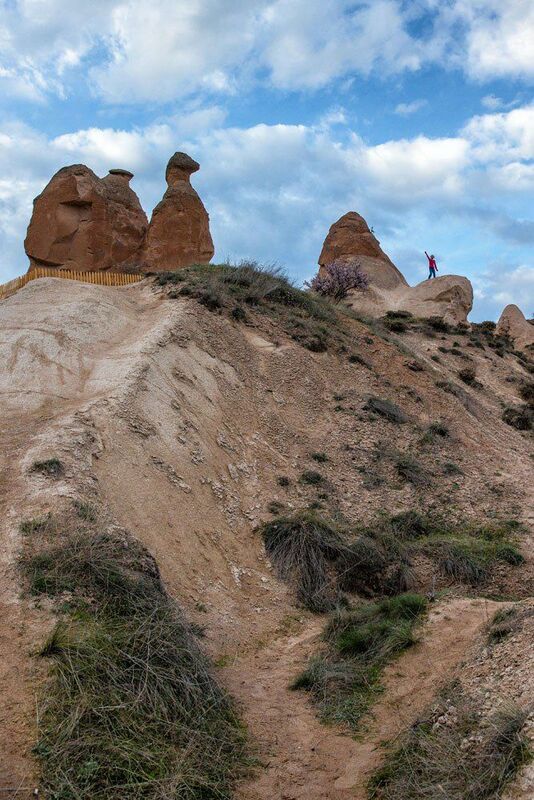 The hike through Love Valley was a short, fun hike and a great introduction to the scenery of Cappadocia. 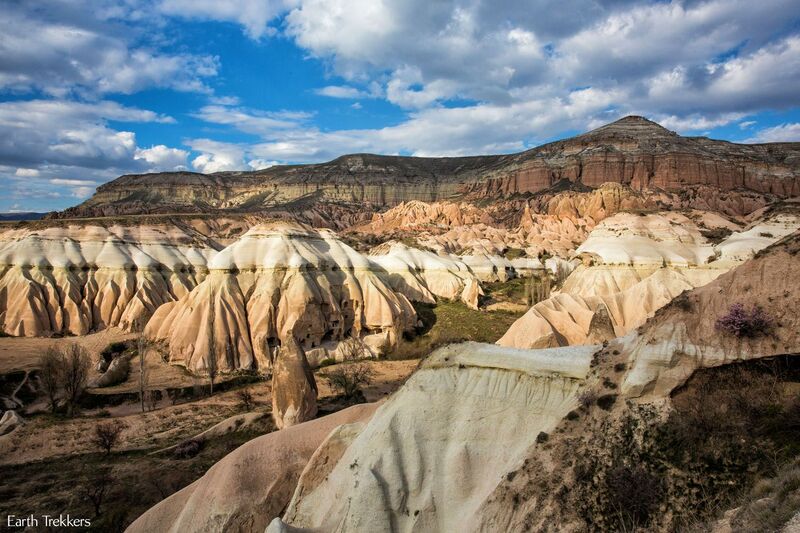 This was our favorite hike in Cappadocia. The Red and Rose Valley Hike is a three mile hike through a landscape that looks like a cross between Love Valley and the Grand Canyon. 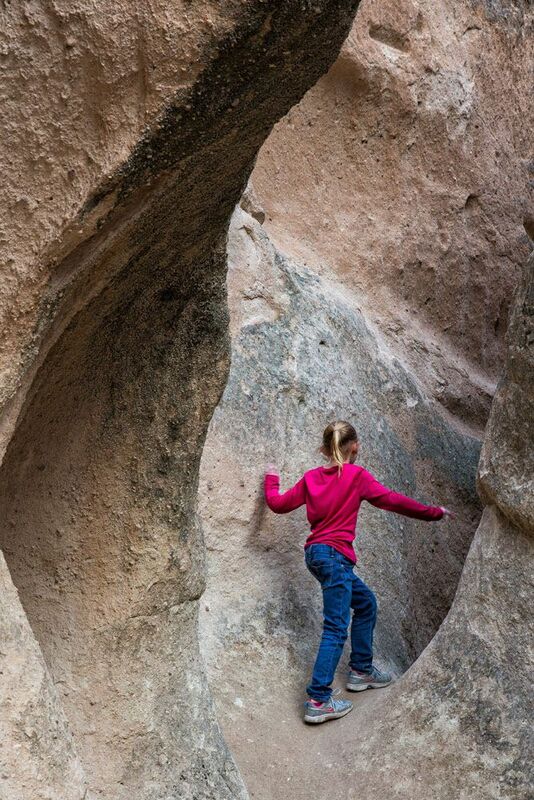 Here we hiked among stone spires that were pink, red, and white. Tyler and Kara explored more caves, but mostly they had fun running up and down the hills. The valley is beautiful and like nothing we have ever seen before. Both the Love Valley and Red and Rose Valley Hikes are point to point hikes. They can be done as a return hike (walking out and back along the same trail) but you are unnecessarily repeating the hike. 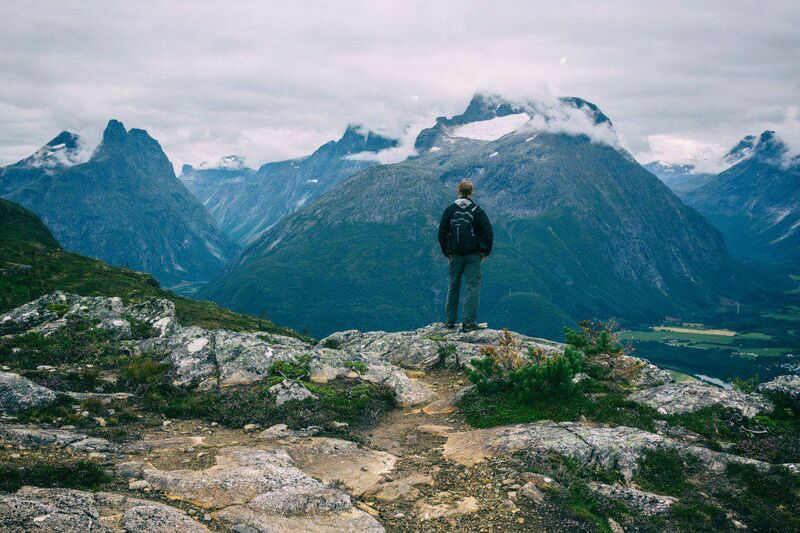 If you have your own car, you may have to do these hikes as return hikes. A better option is to hire a driver while you are in Cappadocia. Your driver can drop you off and pick you up at different points, which is very convenient, especially if you are traveling with kids. 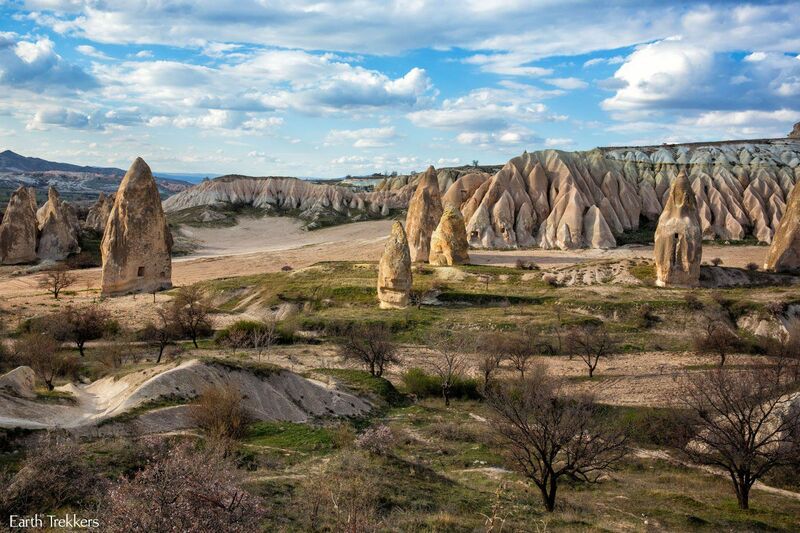 Also, your driver will know exactly where the hikes start and end, taking the headache out of planning your routes through Cappadocia. We hired a driver through our hotel (the Yunak Evleri) and this was one of our best decisions while in Cappadocia. 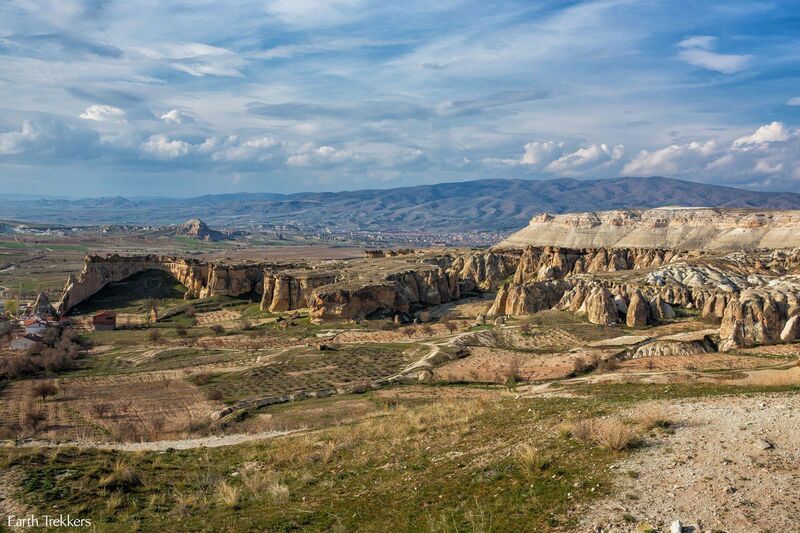 The rock castle is the highest point in Cappadocia and the views from here are awesome. Tyler and Kara liked climbing up the hill to the viewpoint and exploring the castle. 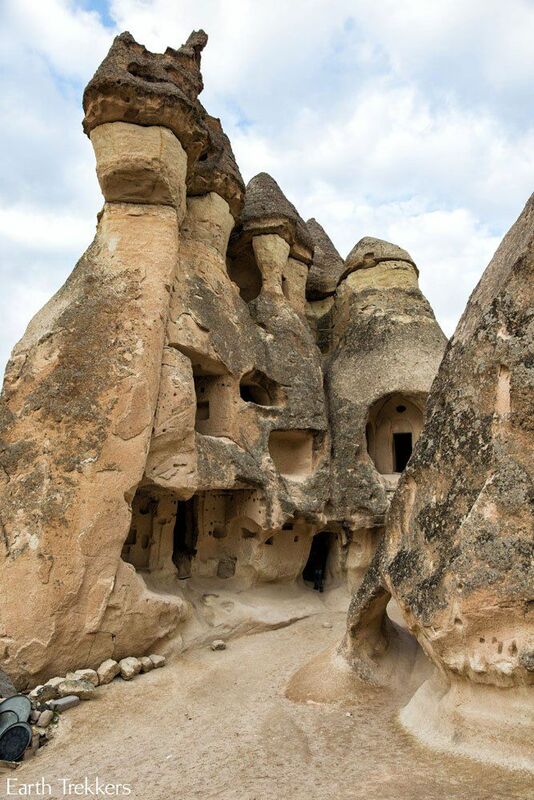 Cavusin, the location of St. John’s Church, is worth a visit on a trip to Cappadocia. This church is carved out of the mountainside and dates back to the 5th century AD. Tyler and Kara loved exploring this ancient church and climbing the hillside overlooking Cavusin. Tim and I loved the views out over Cappadocia from here. What a beautiful place! We made a quick stop here to see the fairy chimneys. This was another great place Tyler and Kara could run around and explore caves and climb rocky slopes of the mountains. Devrent Valley, also known as Imagination Valley, is a great place for kids. There are rock formations shaped liked camels, seals, lions, and whatever else you can imagine. For Tyler and Kara it meant more exploration but also a fun time naming the different shapes they saw. What a great place to let your kid’s imagination run wild! Soganli Valley is located a half an hour south of Urgup. To get here we drove in and out of valleys through a landscape that looked like a miniature version of the Grand Canyon. In Soganli Valley we spent about an hour and a half exploring churches that were carved into the sides of the mountains many hundreds of years ago. Tyler and Kara had a blast doing this. We followed dark tunnels into the mountain (with the aid of the flashlight app on our phones), the kids took videos on their iPod touches, and Tim and I had fun exploring with them. This was so much better than the Goreme Open Air Museum. The churches were more interesting and during the entire time in the valley we saw only one other tour group. This was one of the highlights of our time in Turkey. 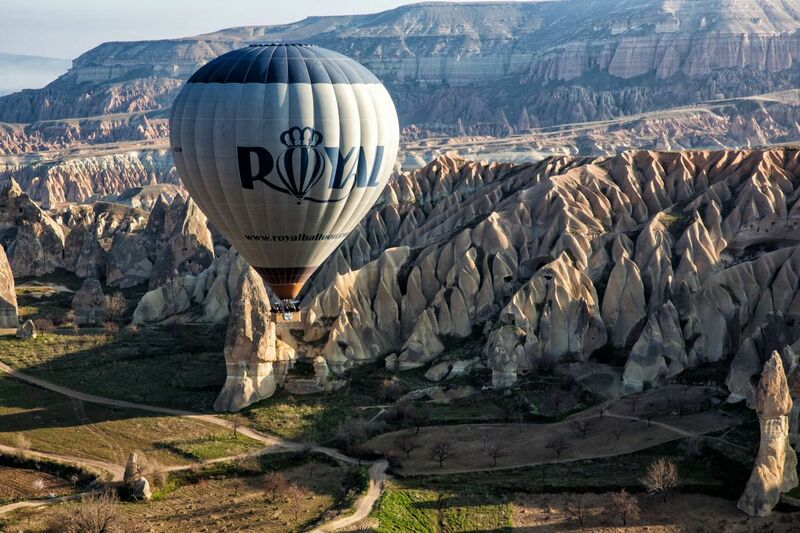 Seeing Cappadocia from a hot air balloon is a magical experience and gives you a different perspective of amazing Cappadocia. 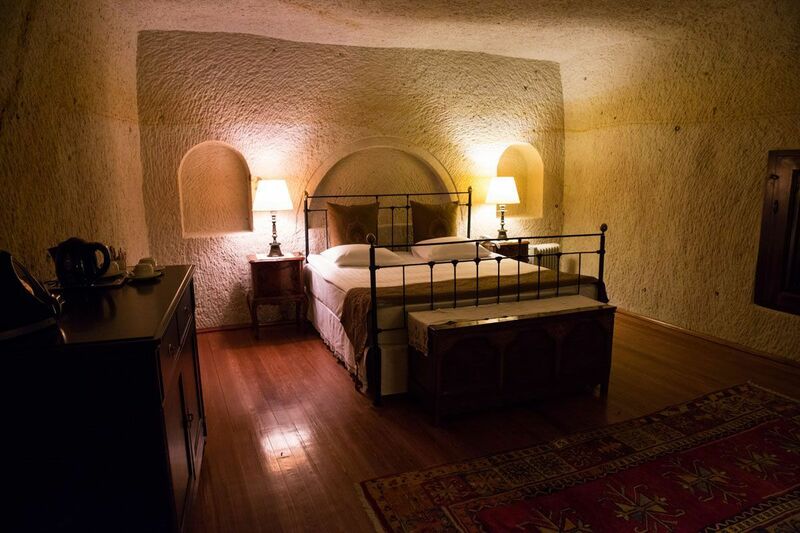 While in Cappadocia we stayed in the Yunak Evleri Hotel in Urgup. This place is fantastic! 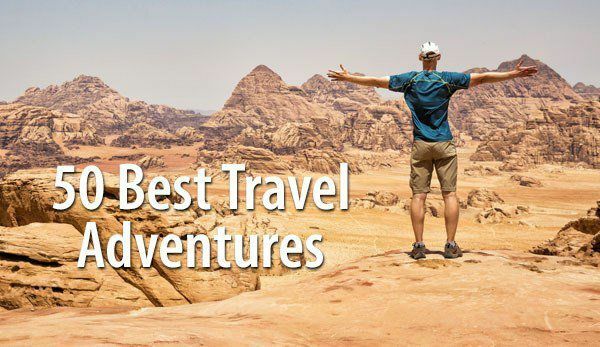 The staff are very helpful and attentive, the location in Cappadocia is central to most attractions, we could easily walk to numerous restaurants for dinner, and sleeping in a real cave is an awesome experience. 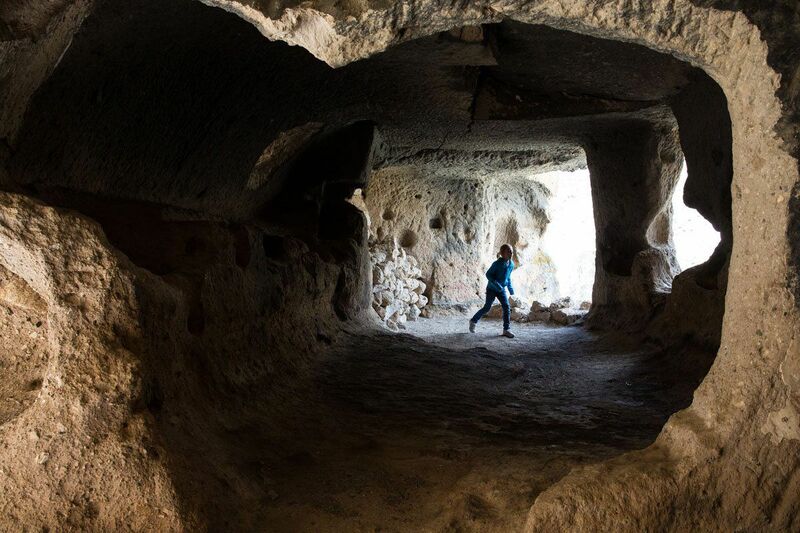 Prior to starting our around the world trip, this cave hotel was Tyler and Kara’s favorite accommodation. It’s one of my favorite places, too. 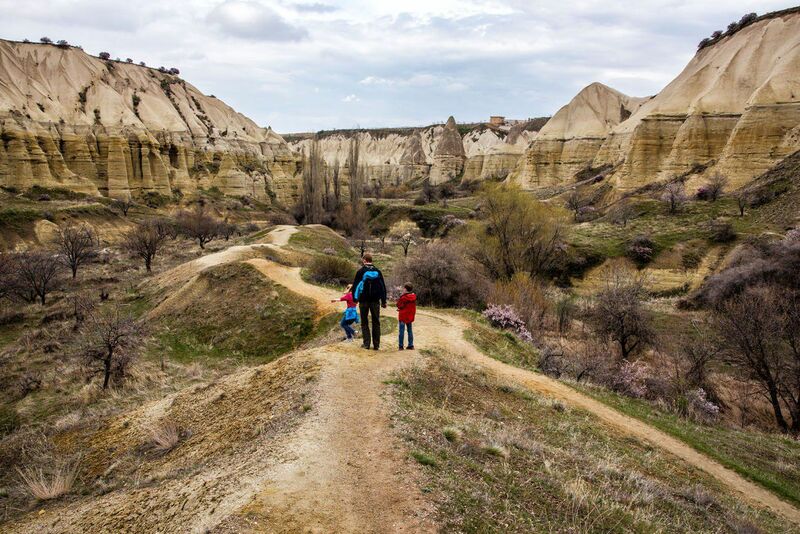 Cappadocia, Turkey is a great place to travel with kids. 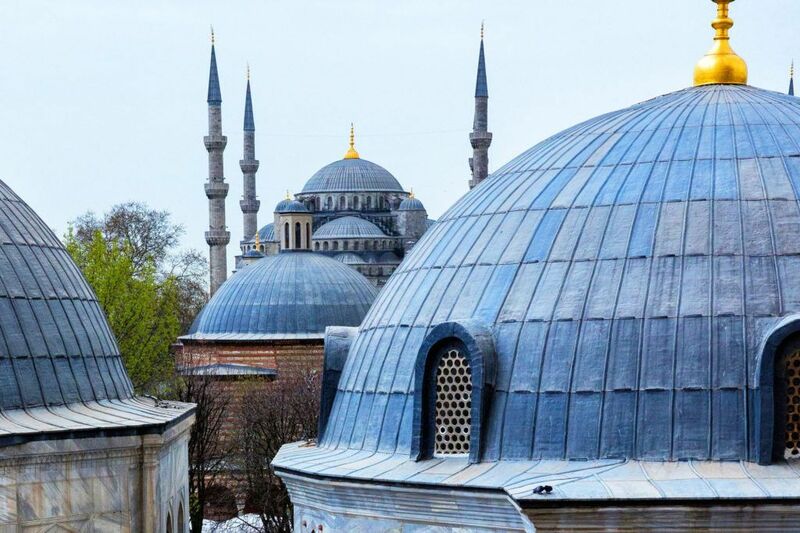 The unique scenery, the hiking trails, the churches carved into mountainsides, and the very friendly people of Turkey make this an unforgettable place to visit. 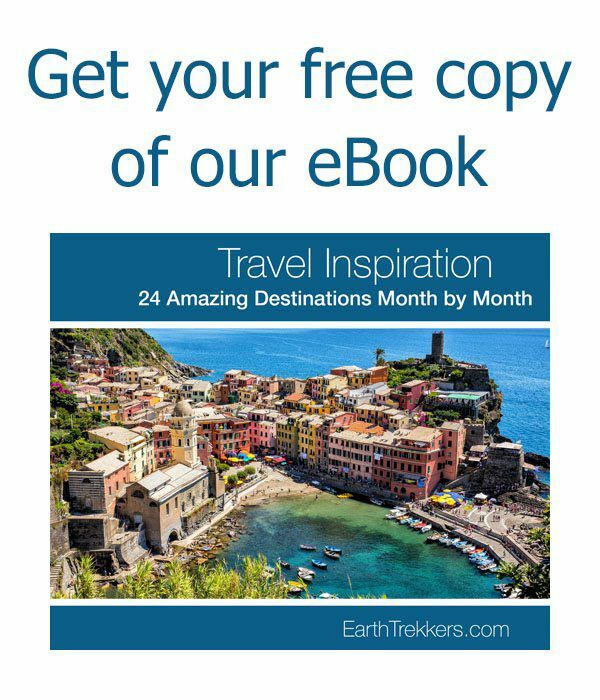 Planning a trip to Turkey? 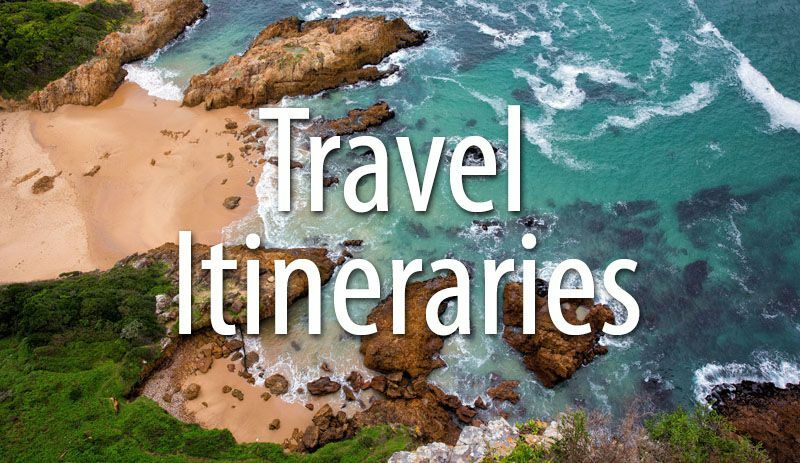 Read all of our articles in our Turkey Destination Guide. 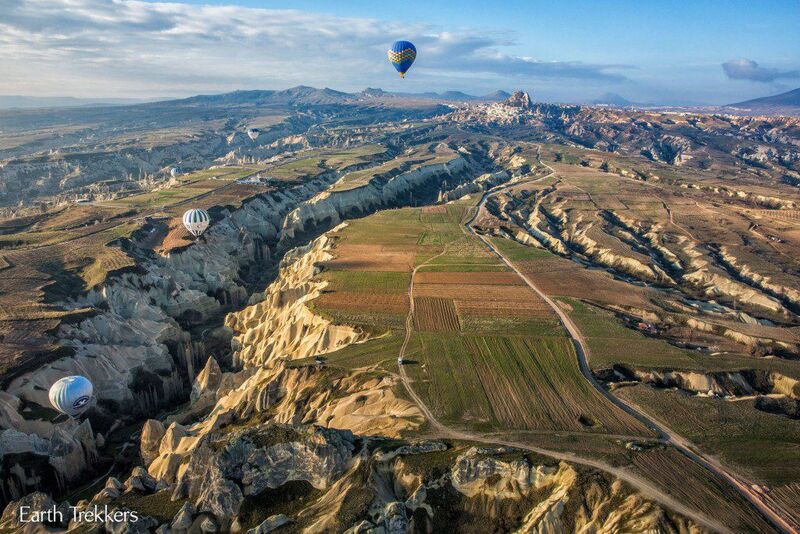 İ have seen some pic on your webiste about Cappadocia/Turkey. We are glad to know that you hav eloved to Cappadocia.. Our focus is to show Turkish Hospitality to all our guests from all over the world..We would love to host you again and to see your friends in the near future as well. Your hikes look awesome! We’ll be taking our 2 kids to Urgup for 6 days early September. I was wondering about transportation– apart from the Red and Rose Valley hike, did you use a driver for the other hikes? We’re thinking of renting our own car but was wondering if many of the hikes in the area would be point-to-point. In particular you mentioned “driving in and out of valleys” on the way to Soganli Valley, were you driving yourself or was it with a driver? We hired a driver for the three days we were in Cappadocia. 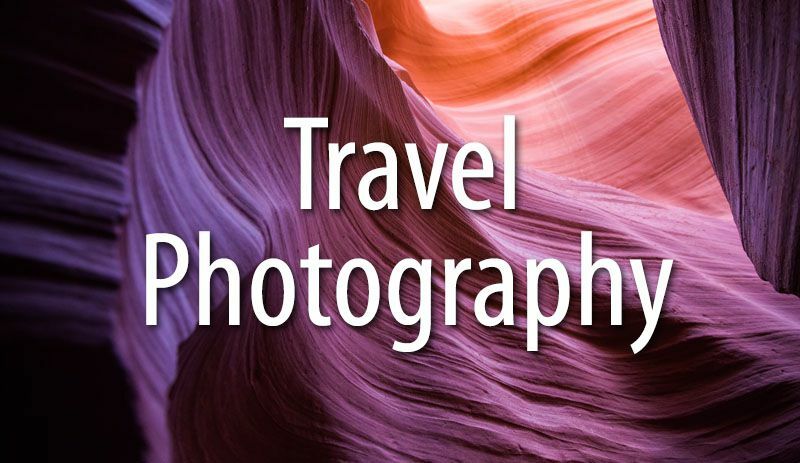 I would highly recommend this, and we usually prefer renting a car and getting off on our own. The roads weren’t always clearly marked, a driver can drop you off and meet you later on a point to point hike, and they can take you to places you may not even know are worth visiting. We hired our driver through a recommendation from our hotel and it was very easy to do. 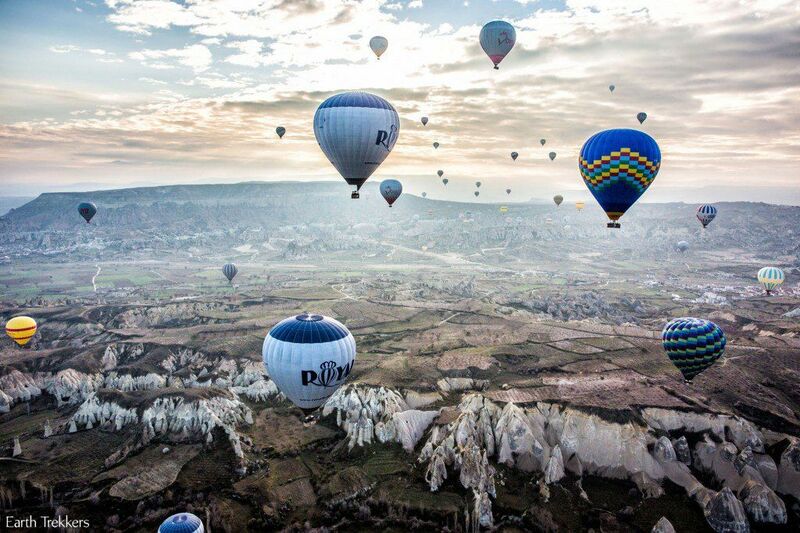 Have fun in Cappadocia. It’s still our daughter’s favorite place in the world! Thanks a lot, Julie. We’re off to Istanbul next week. The kids are super excited! Your Soweto experience was amazing. Have fun! 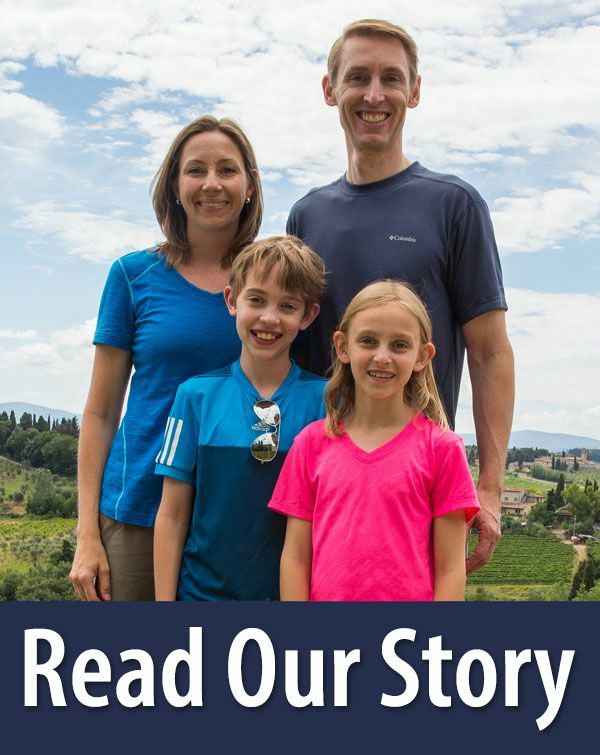 Love your plan of taking the family on a one year world tour. Once my plan works out and I will become the ultimate dictator of this planet I will make it mandatory for all earthlings to take their families on a world tour once in their lives in order to create world peace! Kidding aside, here is my question. 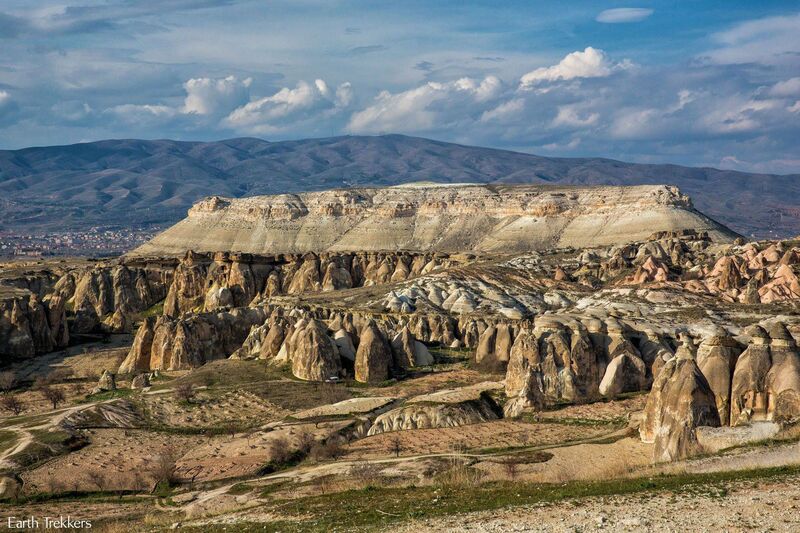 When you were walking the Love Valley, did you start from the North (Cavusin) or the South entrance (Uchisar)? I am asking because I am trying to find out on which side the cone shaped spires are so I can be there exactly at sunrise for photography. I will be in Cappadocia in July and I am super excited. 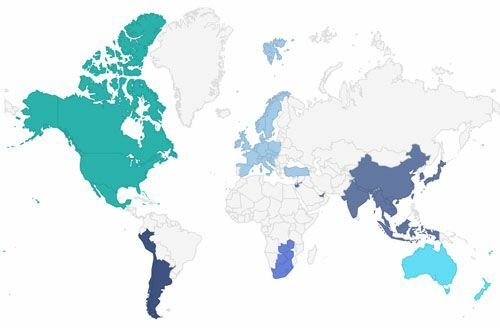 Good luck with your tour! We started in Uchisar and walked towards Cavusin. We did the hike in the afternoon and were lucky enough to have the weather clear up as we hiked. Also, we had a driver to drop us off and pick us up which made the point to point hikes easy and convenient to do. 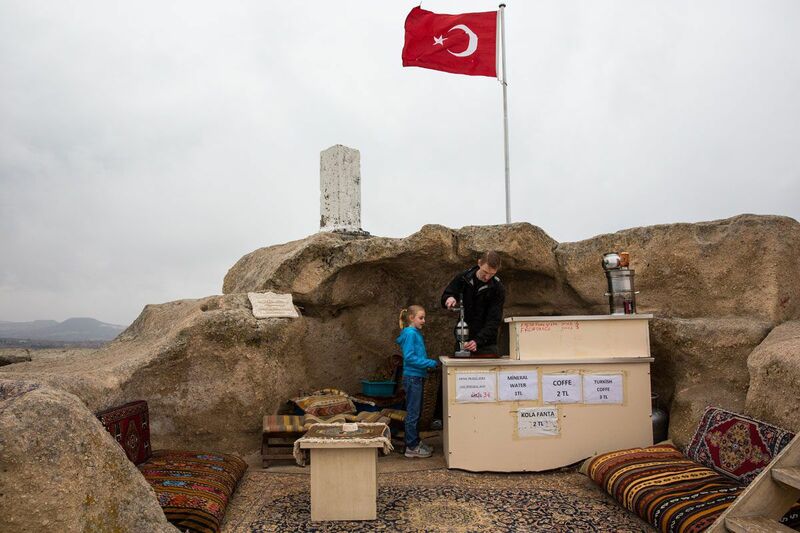 We hired our driver through our hotel, the Yunak Evleri Cave Hotel. Enjoy! Thanks for your quick response Julie! So I will start my walk inverted beginning at Cavusin where the cones are. Should your tour take you to Bangkok please contact me. I will take you guys out on a city walk through the back alleys….promise!